Information regarding the 2018 Xmas Event on the public test server! It won't be long till the first snowflake falls, signalling not only the start of Winter but also that the Xmas Event is just around the corner! 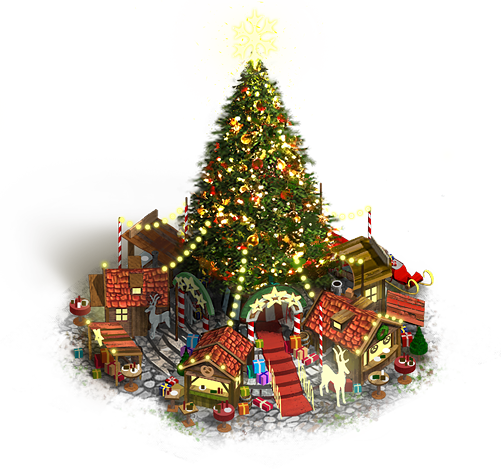 For this year's Christmas Event, we have plenty surprises to share with you: some of which will be in the form of a brand new building and specialist! Following feedback from last year, we've had Santa lend some of his magic to a new specialist: the Versed Geologist! 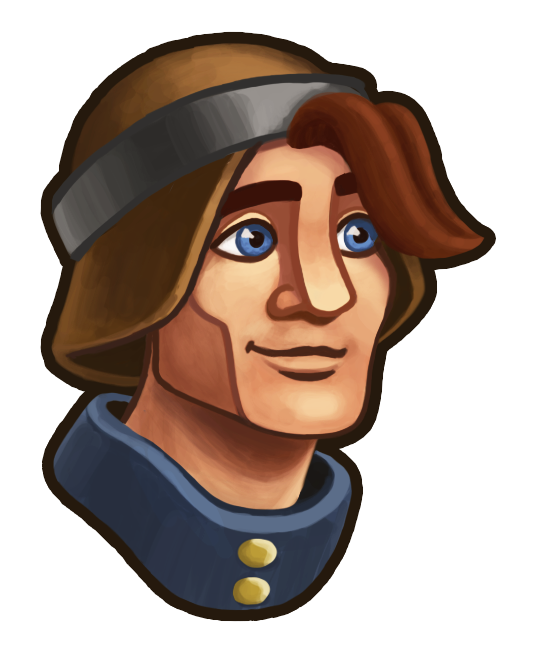 You'll be able to recruit his excellent skills at the shop for event currency in this year's Christmas Event. "Why should this Geologist be at the top of my Christmas list? ", I hear you ask: he will find 50% bigger deposits in half the normal time, as well as having a 50% chance of finding additional deposits! What's more, is that this will work on all types of deposits too! One great aspect about this festive time of year is the hustle and bustle of shopping for food and presents for the big day; the streets are drizzled with twinkling lights and there's always a gigantic Christmas tree in the center of town. We wanted to recreate that feeling with a brand new building: the Christmas Market! This special building has a unique function: players can buff workyards in an area surrounding the Christmas Market to increase their output. 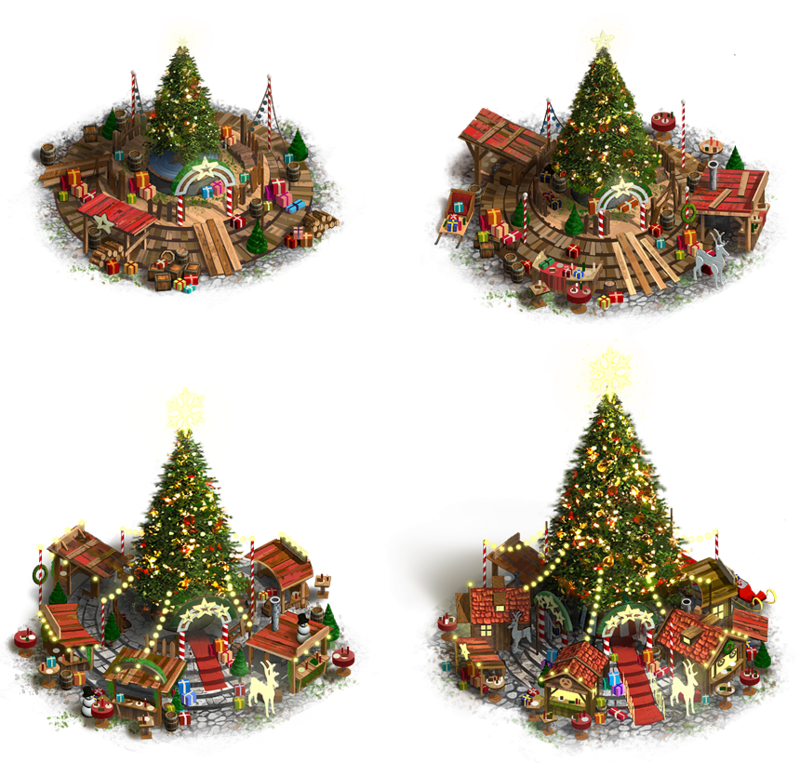 The bonus to output, as well as the area to which it effects, can be increased by upgrading the level of the Christmas Market building. Additional Christmas Markets will reduce the cooldown of this function.